Often described as the "poet laureate of Deep Ecology," Snyder has become a spokesman for the preservation of the natural world and the cultures that seek to protect it. In 1955, he famously read his poem "Berry Feast" at San Francisco's Six Gallery reading, alongside fellow Beat poet Allen Ginsberg and in front of his friends, Jack Kerouac and Lawrence Ferlinghetti. 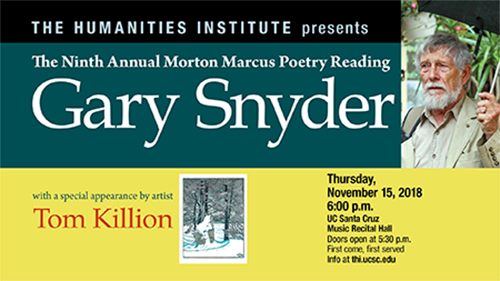 It was created to continue Marcus’s tradition of bringing acclaimed poets to Santa Cruz County, to acknowledge the significant role poetry has played in the community's history, and to help preserve poetry's influence in the county's culture. 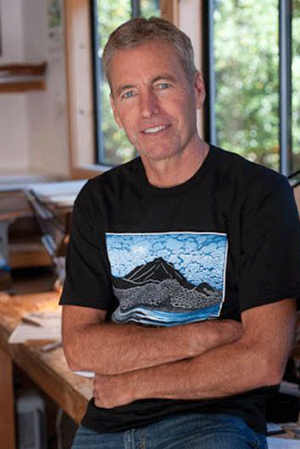 UC Santa Cruz humanities lecturer and alumnus Gary Young--Santa Cruz's first ever poet laureate--will host the program and present a cash prize to the winner of the annual Morton Marcus Poetry Contest.